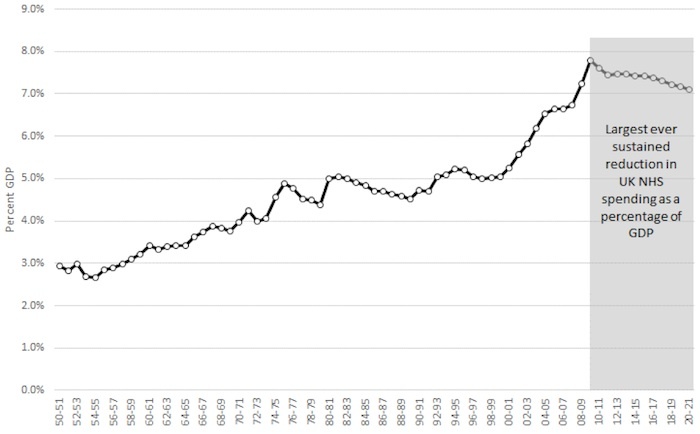 As a share of GDP, these cuts will effectively put UK healthcare spending roughly where American spending was in 1970. There is very little that can stop a determined British government from slashing NHS spending–British doctors are unionized, but the government retains the legal right to impose contracts on them if it deems the negotiations a failure. The only card British doctors have to play against the British state is the threat of striking or leaving the profession, which is what the junior doctors are doing now. The British right likes to claim that NHS costs are spiraling out of control, but compared to American healthcare costs they are exceedingly manageable–the government can dictate how much it wants to pay. If the NHS were privatized, British healthcare costs would rapidly increase without limit indefinitely. In America, the right argues against single payer on the grounds that it would ruin the quality of care–it claims there would be rationing, or that wait times would be long, or that the amount and quality of medical research would decline. What the American right is not acknowledging is that these things are not a product of whether you have a public or private system–they are a product of how much money your system spends on those things. 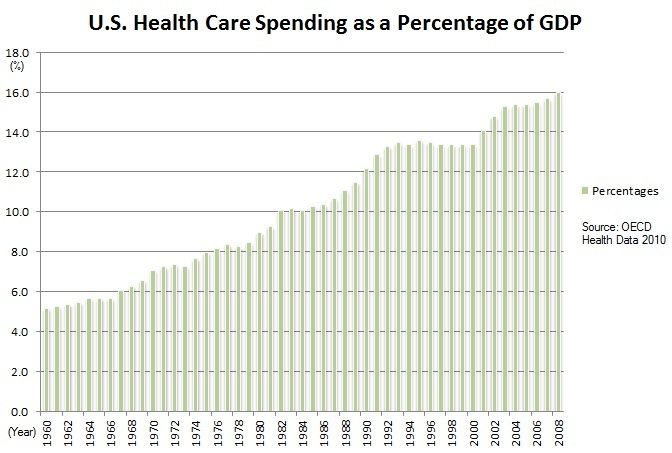 Nevertheless, if the US reduced its healthcare spending from 16% of GDP to 8%, this would likely lead to some reduction in the amount of medical research conducted. But switching to single payer doesn’t necessarily mean reducing healthcare spending to 8% of GDP–it means giving the government the power to determine the level of spending and where the money goes. This means that if the United States wanted to give a higher priority to medical research than other countries do, it could do that by choosing to spend more in that area. Similarly, if a country wants to avoid rationing certain treatments or to avoid long wait times, that’s a policy choice it can make if it’s willing to spend the money. The US could have a single payer system that spends just as much as the current system, but diverts all the money currently squandered on marketing to medical research. 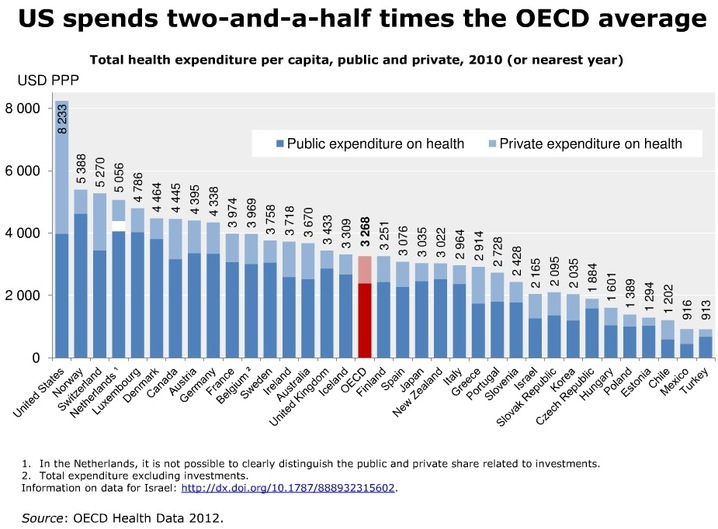 Or the US could have a single payer system that significantly cuts total spending. By putting the decision into the hands of the government, the choice of how much to spend on research or marketing or patient care is made by the people’s representatives on the basis of the public interest rather than through perverse market incentives that are indifferent to people’s healthcare needs. So when someone like Bernie Sanders talks about going to single payer, he may be talking about making significant spending cuts to put money back into patients’ pockets, or he may be talking about distributing money away from marketing to research, or he may be talking about doing some combination of both. Single payer is about giving the state the power to decide what to prioritize, it does not entail any given set of priorities. In single payer countries like Britain, the biggest danger to public health are politicians and parties that want to abuse the government’s monopoly power to reduce spending on healthcare to a point at which it becomes impossible for the system to perform adequately. Sometimes this is because the right is just skinflint, but sometimes these right wingers blame the system’s failures on the fact that it is single payer rather than on their policy of refusing to adequately fund it. This is then used to justify privatization, which can only make the system more expensive and less efficient. They are the ones choosing to make the system fail by refusing to fund it adequately. This is the irony about the healthcare debate. In America, the right criticizes single payer systems for producing inferior standards of care. In Britain, the right reduces standards of care by refusing to spend. So on one side of the pond, the right criticizes single payer systems for being too cheap, while on the other side they are criticized for being too expensive. On both sides, the right’s aim in criticizing single payer is the perpetuation or restoration of a private system that wastes large amounts of money and funnels it to marketing firms, insurers, hospitals, and drug companies. Private healthcare systems deny the public the ability to choose what to prioritize, and that lack of transparency allows private companies to exploit perverse incentives and systematically rob the public blind.